Company wants to speed up the adoption of blockchain technology for businesses. SAP is looking to integrate its services with blockchain technology with a major launch. The company hopes that the SAP Cloud Platform Blockchain, otherwise known as its blockchain-as-a-service offering. will support Hyperledger Fabric, as well as MultiChain. Its existing customers will now be able to utilize the blockchain to build applications and networks. The company stated that its new offering will utilise the SAP HANA Data Management Suite, and that it will, in fact, be built on SAP HANA. According to the company’s newsroom, SAP has been working with more than 60 enterprises across industries to create blockchain use cases in different industries like manufacturing, transportation and pharmaceuticals. 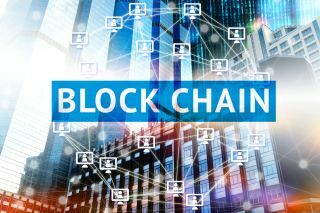 SAP has also said it had started a global blockchain consortium with seven founding members, to speed up the adoption of the blockchain technology. Besides SAP, the founders include Intel, HPE, and A3 by Airbus SE. The media is saying that use cases such as manufacturing or transportation aren’t ‘fully baked’ and that many analysts will tell you that the blockchain is hyped. However, SAP is certain this technology can profoundly change business processes and IT.